Last night, our 23 year-old daughter called with a plumbing problem – the toilet in her apartment wasn’t working again. She asked to talk to her mom. 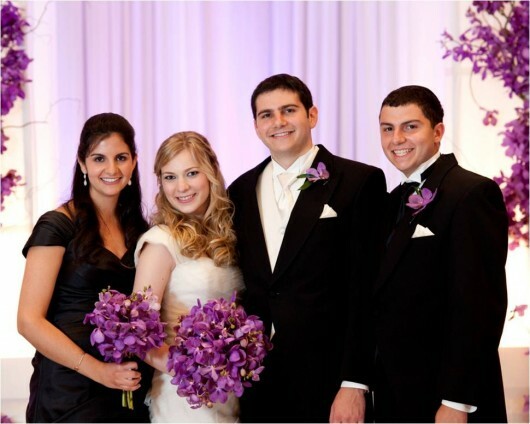 Our 3 kids are now young adults, living on their own in college or graduate school; our oldest is married. We speak with all of them often (not often enough, of course), usually just to catch up on their exciting lives. But, despite their burgeoning independence, they still need us on occasion. When that happens, they know which one of us to call. Our division of labor was established early on. Blessed that my wife, Sara, and I have been able to share parenting responsibilities, we have never been bashful about letting the kids know who does what best. Sara always jokes that my job is to earn the money, hers is to spend it. That’s really not true, though – she earns money, too, and I’ve done my share of spending. But there are much clearer distinctions between our parental roles, and the kids grew up fully understanding them. Sara took the kids to doctor appointments because, as a doctor, I’m much too neurotic. Computer and other highly technical problems (like turning on the TV) went to Sara because I can barely even manage texting. I handled homework questions and test panics because Sara still suffers from her own residual test panic. Sara did all the home repairs because she held the flashlight for her dad growing up, and because I consider a hammer to be a WMD. Sara did most of the cooking because otherwise we had to eat my burrito pies (see below). She balanced the checkbook, but I was the budget bad guy. I taught the kids sports, but Sara taught them to have fun. On this Father’s Day, as emasculating as it may be to admit, I’m very grateful our kids have a mom who understands the flapper flush mechanisms in their toilets. Despite my disparaging comments about my cooking (see above), here’s my recipe for Señor Harley’s famous (in our house only) “Vegetarian Burrito Pie” – perfect for Father’s Day because it’s such a “dad” dish (i.e. tasty, without much panache or nuance, and it sure fills you up!). Spread a small amount of olive oil on the bottom of a standard aluminum pie pan. Place a low-fat flour tortilla in the pan. Across the tortilla, spread black beans, vegetarian refried beans, cheddar cheese, diced tomatoes, onions, olives and any other Mexican food family favorites (optional – include pan-fried soy “crumbles” as meat substitute). Place a second low-fat flour tortilla atop the yummy ingredients, and add the same yummy ingredients again. Repeat once more (total of 3 flour tortillas separated by layers of yummy ingredients). Bake at 350 for 15-20 minutes. From Frazzled to Focused: The Ultimate Guide for Moms Who Want to Reclaim Their Time, Their Sanity and Their Lives (River Grove Books, 2013) is written by Rivka Caroline for moms (hence the title), but is also a great read for dads who want to organize their lives at home and work. Rivka contributed to “3 Things for Mom” earlier this year.